A heartwarming moment emerged from the Remembrance festivities which quickly went viral on French television. 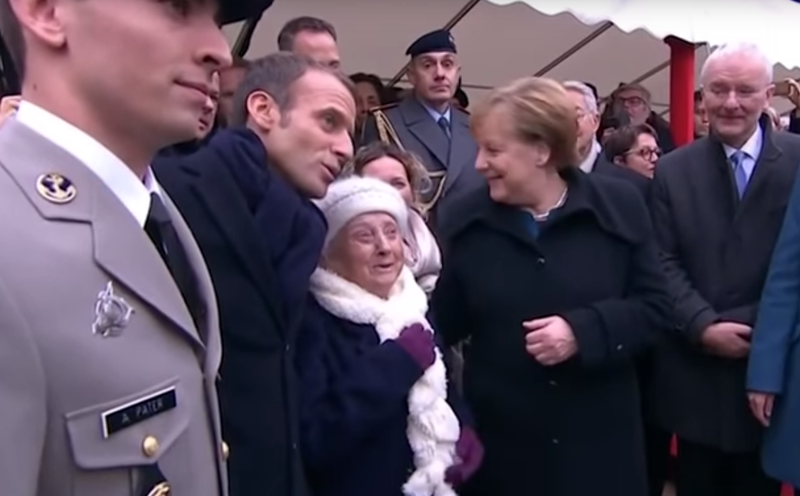 When French President Emmanuel Macron greeted several veterans, one of them had brought his mother with him, who is turning 101 tomorrow. She seems a bit confused and Merkel has to repeat a few times more that she really isn’t Ms. Macron, but the German Chancellor. Both European leaders then continue to take a picture with the woman. The event took place during the Remembrance days in Paris and was clearly a lighter moment as the leaders honored the dead of World War One. I always thought M. Macron was Mr. Merkel. Who knew that European Politics was so complicated?